Painted Mountain is a flour corn developed for growing in areas with a short season. 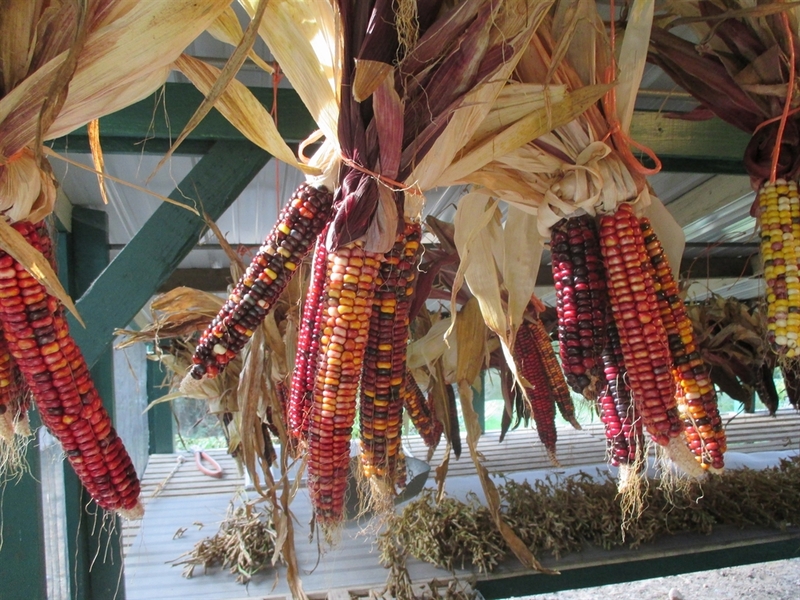 This widely adapted corn was bred by Dave Christensen in Montana over a period of 30 years. 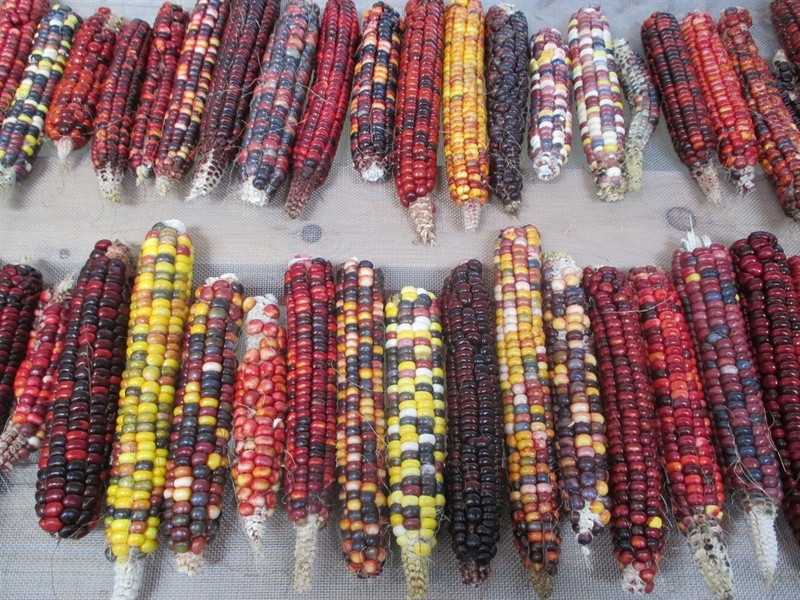 He worked with 70 plus types of cold hardy, Native American corn varieties. Painted Mountain tolerates poor soils, cold, and drought conditions. It is fairly early maturing. Easily ground into flour or the fresh ears can be roasted. 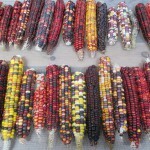 The brightly colored kernels are high in anti-oxidants. Plant in the spring after the danger of frost has passed. Direct seed 1″ deep, 12″ to 24″ apart in rows 36″ apart. For good pollination, plant in blocks of 5 rows. 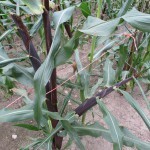 Corn is wind pollinated. If you intend on saving your seed you should separate plantings by a minimum of 600′ for home use or 1/2 to 1 mile for absolute purity. If this is not possible you can plant a corn like Painted Mountain, which is early maturing, along side a late maturing variety like Bloody Butcher. 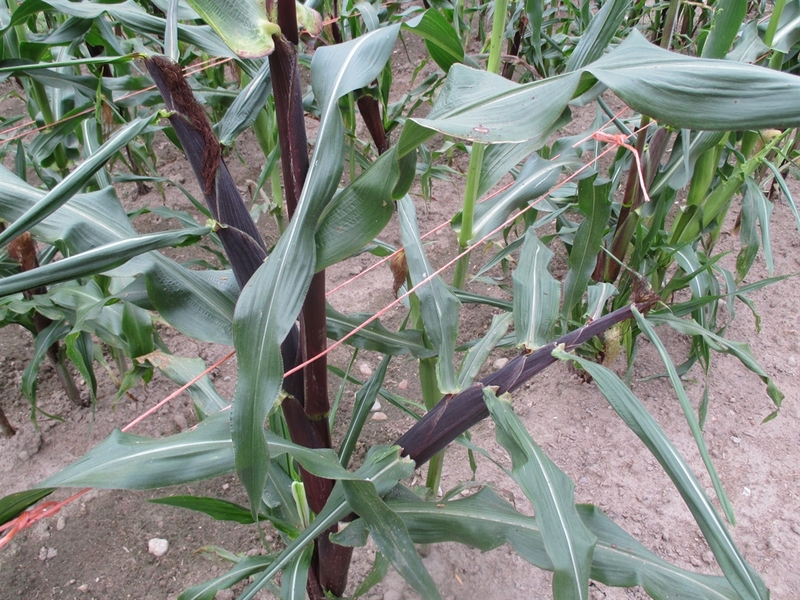 The idea is not to have both varieties in tassel at the same time and eliminate cross-pollination between the two. 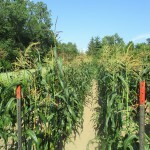 Early maturing corn varieties are always a good strategy if you live in an area where commercial corn is grown. 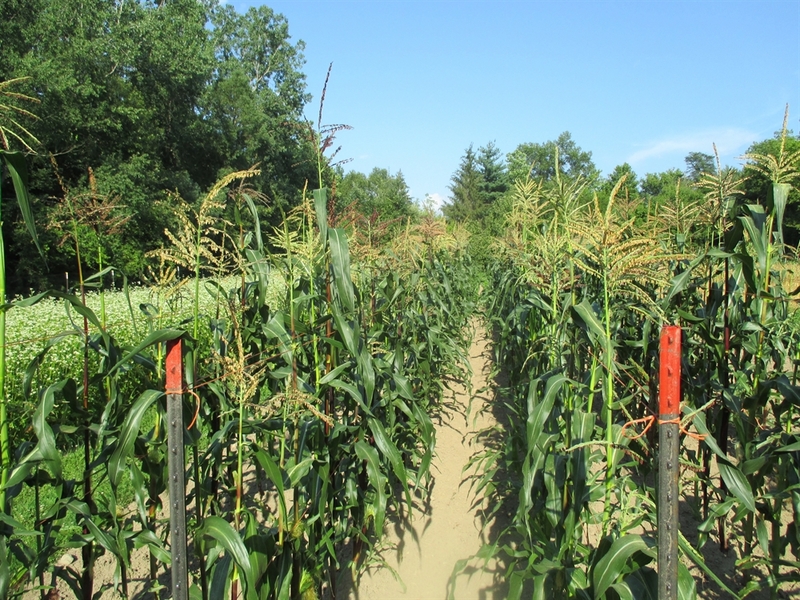 Almost all commercially farmed corn is going to be hybrid, and there is a good chance that it could be a GMO type. Hi, I would like to order a packet of Painted Mountain Corn. I don’t see an online order form. Please let me know how to proceed. Hello Debbie. I am currently not selling seed. I suspend my sales at the first of June, as I then turn all my attention to growing the new seed stock to offer in November. If you want Painted Mountain seed I would highly recommend Bountiful Gardens. They have an online website.